I would like to share with you about my nearsightedness. Around 2011 or my junior year during university, my vision was rapidly deteriorating. But since the minus is not too high, it was 0.25 or even lower, I decided not to use glasses. 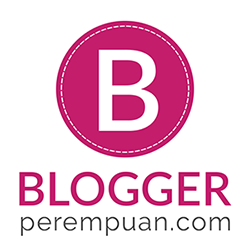 But, ever since I started blogging and also working, as I am working with computer for more than 7 hours every day, I started to feel that I need visual aid. So I’ve been using soft contact lenses for around 2 years till now. I tried two different type of soft contact lenses; monthly and daily. But most of the time, I use monthly soft contact lens for my daily life. Why? Actually, it because it’s hard to find 1-day lens with color at that time. Yes, I prefer color lens because it’s just fun to wear and it gives my eye a bit more ‘life’. But the problem with monthly lens is the practicality and hygiene. I have to spend some time to rub clean the lens every time I put it off, not to mention that I should handle it with care while trying to make sure that it is clean. Also, I have to buy the multi-purpose solutions, which add more costs and also work (it lasts only 3 months). And if I ignore those endless effort like rubbing and cleaning the lens, then I will lose the hygiene. This is the scary part of wearing monthly lens for lazy girl like me. The impact can be as worse as being blind due to the bacterial contamination. So scary right? So, after being a loyal user of monthly soft contact lens, finally I am trying to get out of this comfort zone by trying 1-day soft contact lens. It’s around 4-5 weeks ago that I went to optics to check my visual acuity. That was my first time doing thorough visual acuity check. I checked it at Grand Indonesia since it is the nearest branch near from my office (just walking distance~). Before checking the visual acuity, they kindly check my history of using contact lens. The staff checked my eye condition (redness, dandruff, even the directions of my eye lashes growth). From that I also learn that not all people can wear contact lens, especially those with Diabetes and or high blood pressure. Are you? Luckily I am one of those people who can safely wear contact lens. My left eye got -1.00 while my left eye got -0.75. Then, the staff kindly explained to me about the benefit of using 1-day soft contact lens compared to monthly one. But of course I mentioned my concern regarding my preference for color soft contact lens. And YAAAASSS…! He said that there’s new 1-day soft contact lens which comes in colors! It’s 1-Day Acuvue Define which comes in 3 different style: Vivid Style (twinkling & vibrant), Natural Shine (shining & sophisticated), and Accent Style (clear & authentic). At that time I chose Natural Shine because it has shining effect which attracted me the most (cause I have that sleepy eyes). My first impression? It’s sooooo Natural! I can feel and actually see the shining effect in my eyes, but it doesn’t look fake. Even my office mates back in office didn’t recognize that it was because I was using the 1-Day Acuvue Define contact lens. Also, it’s so light and comfortable, I spent like 7 hours wearing it throughout the day and my eyes didn’t feel dry (note that I didn’t use any eye drops at all at that time). And ‘cause it so pretty, I took picture of it to brag it to my friends, LOL. Gotta tell everyone cause it’s so comfortable! That’s my experience using Acuvue Define for the first time. I think I want to continue using it because not only it’s super comfortable but I just happen to know that 1-Day Acuvue Define is the only color soft contact lens that has UV protection!! I will update you with full review soon! Kak Tia bagus pakai softlens Acuvue Define ini! Baru tahu yang penyakit diabetes gak bisa pakai. Ngebayangin tujuh jam di depan komputer... baca kalimatnya aja ikutan pegel... XD XD Kemaren masnya ngejelasin kalo banyak minum susu/diabetes ngga bisa pake softlens, tapi aku lupak kenapa, wkwkwk. Asliii!! Tapi apa daya mba Una, itulah perjuangan aku demi bongkahan emas hahaha..
Iya, aku ingeeet, katanya soalnya kalo banyak minum susu itu kalsium berlebih bisa ngaruh ke mata, bikin mata gampang kotor. Masih muda sekali miss Tia, 2011 aja aku lulus S2 *ketauan tuir nya* btw aku juga mw ahh buat postingan pengalaman pertama ku pakai 1-Day Acuvue Define ini, cucok di aku.. Totally agree with you Tia! It's kinda hard to find 1-day lens with colors. 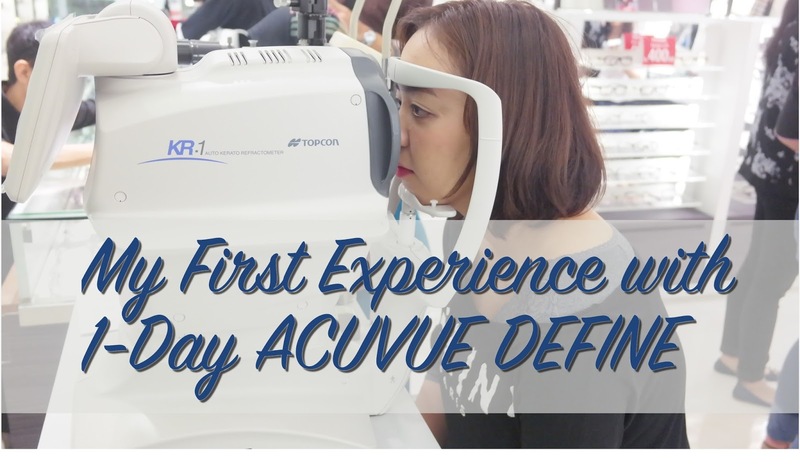 Dan 1-Day Acuvue Define benar-benar membantu banget buat yang pengen keliatan kece tapi tetap higienis. dua foto dibawah cantiiik banget kaaaak. youre eyes look like natural, padahal pake softlense ya hihi. dipake buat di dpn komp seharian gak iritasi ya ? Dipakai di depan komputer seharian tetep nyaman dan ga iritasi. Udah aku buktiin sampe sekarang tiap hari kerja depan komputer sampe begadang lembur (jangan ditiru lemburnya) pake 1-Day Acuvue Define mata tetep nyamaaan bebas iritasi! Iya Vania, hihi makasih, thanks to 1-Day Acuvue Define nihhh.. Nyaman dan tetep tampil alami! Before I met Acuvue Define I had no idea that 1-Day lens could be such a life saver for office ladies like us, especially when they are so comfortable like Acuvue T_T ! Iya Claren! Bener banget, comfy, healthy, and we look natural! Hihi, iya makanya langsung kepincut tuh padahal baru sekali coba di optik!